1. 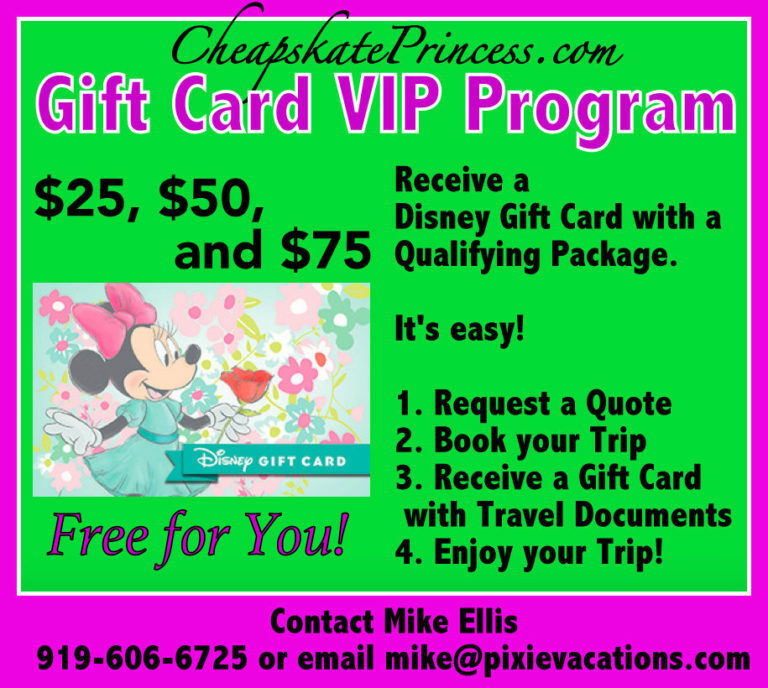 Disney World has provided Free Dining offers for years, which you qualify for after purchasing a travel package combination of hotel and tickets. Many people speculate that in the coming years, this offer will be phased out in favor of other promotions. 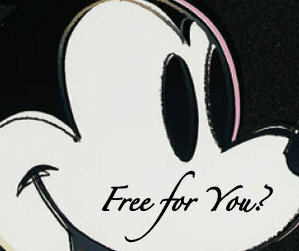 Because Disney no longer needs to entice visitors with free food, they eventually may choose not to offer this deal. 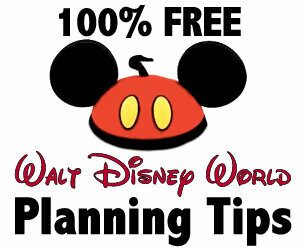 We recommend you use a Disney Travel Expert, because they will be glad to let you know if/when any Free Dining offers are announced. By the time you hear about the free food offer, your preferred hotel may be booked up, because not that many rooms are available with this promotion, and they go fast. 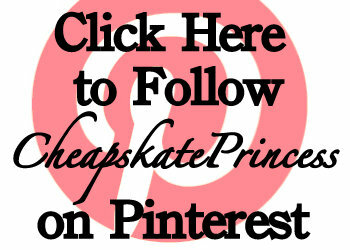 If you can get it, you may can save money. Me personally, I can assure you that I am more than able to feed myself for far less than $111 a day at Disney. There will be no character meals involved, and I’ll be eating cereal in a hotel room for breakfast. 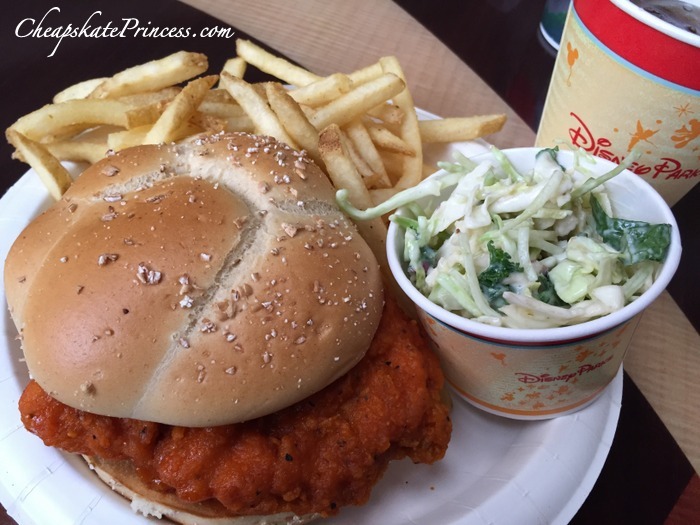 Read: Should You Purchase the Disney Dining Plan? 3. 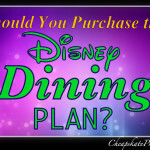 But speaking of the Disney Dining Plan, many planners prefer to purchase it so they don’t have to stress out over looking at menu prices before ordering. You pre-pay for your meals, so the emphasis is then placed on food rather than total price. Many travelers report they felt less stressed out over prices when they pre-paid for the Dining Plan. Saving money is not listed as a reason most people purchased the plan. 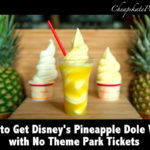 However, if you want to enjoy character and Signature dining meals, especially more than one a day, you will save some money purchasing the DDP. 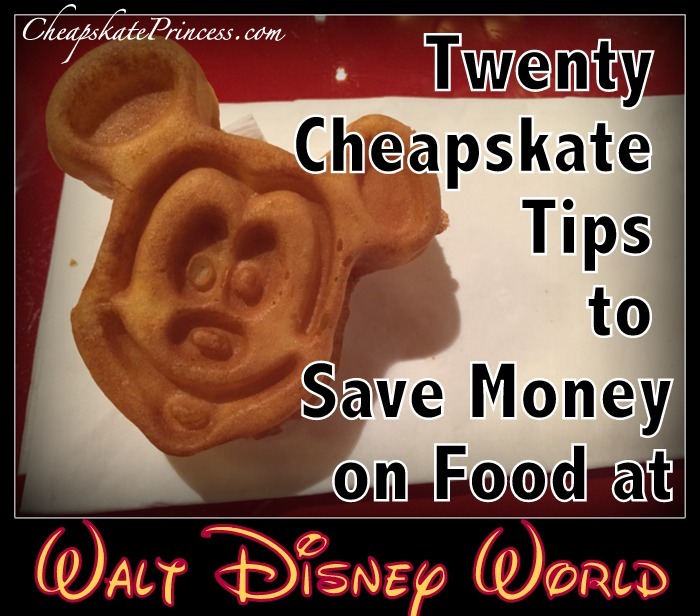 Read: Can a Cheapskate Princess Afford the Disney Dining Plan? 4. Look into food delivery services like Amazon and Garden Grocer. Many vacationers report good money-saving results from having food items delivered to their hotel rooms has saved them money. Concierge will hold your items provided you have your name and arrival date. Your items will be delivered to your room with your luggage. 5. Prepare your own meals. If you have a car, head to the store to pick up some food upon arrival in Orlando. While this is tough for people flying in, it’s certainly not impossible with luggage and grocery delivery services. 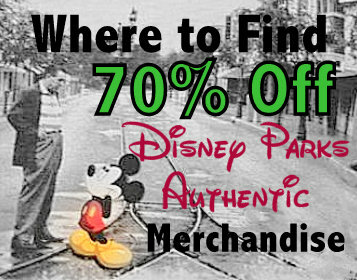 All Disney resorts have gift shops that offer canned and packaged foods and drinks. 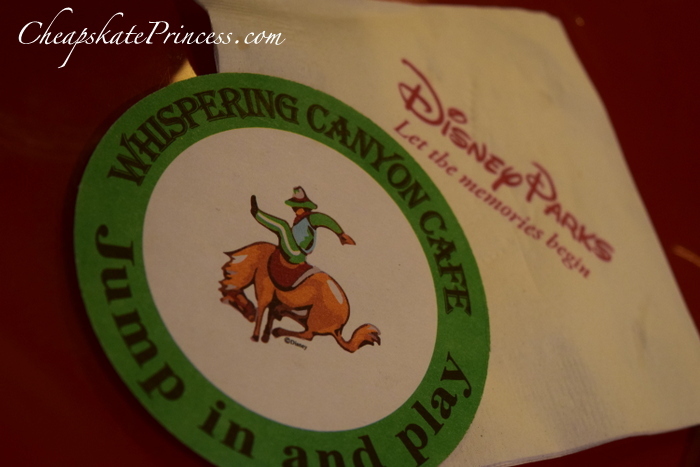 You can pack meals in your park bag or small cooler for a picnic lunch in the parks and resorts. There are truly lots of really beautiful places for picnics and meal breaks on Disney property. 6. Prepare breakfast in your room. Whether you fly in cereal in a suitcase or buy some at a local Wal-mart, you can purchase milk in the resort gift shops for very reasonable prices. Many times after staying up late the night before, vacationers are barely awake anyway first thing in the morning, so skip the resort food court and dine in-room. It’s not as exciting as a character meal, but it’s far less expensive. 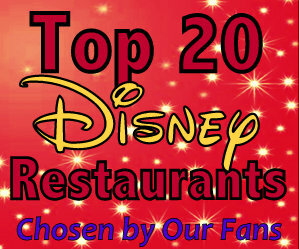 Read: Disney World Food Tip #7: Eat Breakfast Here! 7. Think you can skip breakfast? For those sleeping in and not starting your day at the crack of dawn, hold off on breakfast and eat an early lunch/brunch. I wouldn’t recommend this if your group is accustomed to a daily breakfast, as many children are before school, but not buying a breakfast can save you money. Unless you then order a double lunch! 9. Bring your own water. 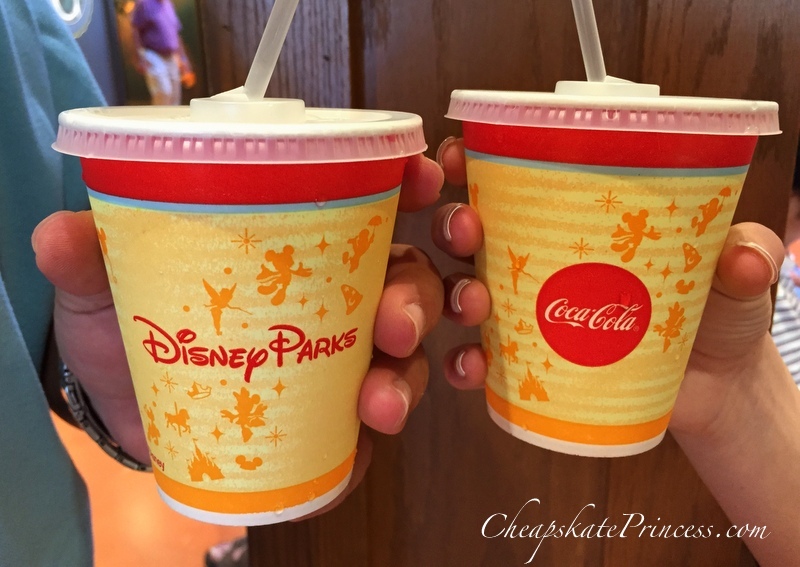 Flown in, delivered to the room or purchased in town, water bottles can cost as little as $.35 a bottle, compared to over $3.00 a bottle paying full Disney retail. You’ll be glad you are drinking water when the heat of summer bears down on you and yours. 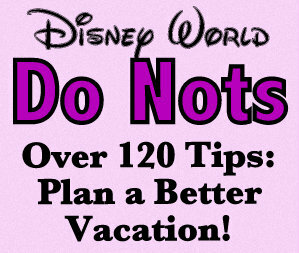 Read: Disney World Food Tip #4: Water Bottles! 10. Order water because it’s free. In my normal life outside the parks, I didn’t think getting Disney water for free was really that all that big a deal, until I paid $1.10 for a cup of water at a Great American Cookie Company store in Alabama. I was buying cookies for three, thus waters for three, so we paid over $3 in water. So free water is a big deal actually, as costs add up fast. Ask for a cup of water, and remember sometimes they give you just a cup of ice that’s going to melt in the Florida heat anyway. 11. Bring a water container. Until you have to throw away a cup of water in the heat of summer, this may not seem important. 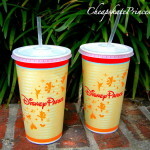 You cannot take water cups on many rides and in shows at Disney parks, so to keep that fantastic cup of free water, you’ll need something to pour it in that won’t spill in a bag. Trust me, spills are no fun. 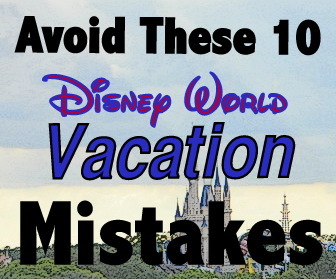 I don’t recommend using the resort mugs, because mine always seem to leak. 12. 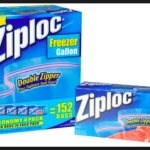 Freeze tap water from your resort. Disney tap water has a well-deserved bad reputation as tasting pretty yucky. Many people, including our family, like to freeze the water in bottles and bring that into the parks. 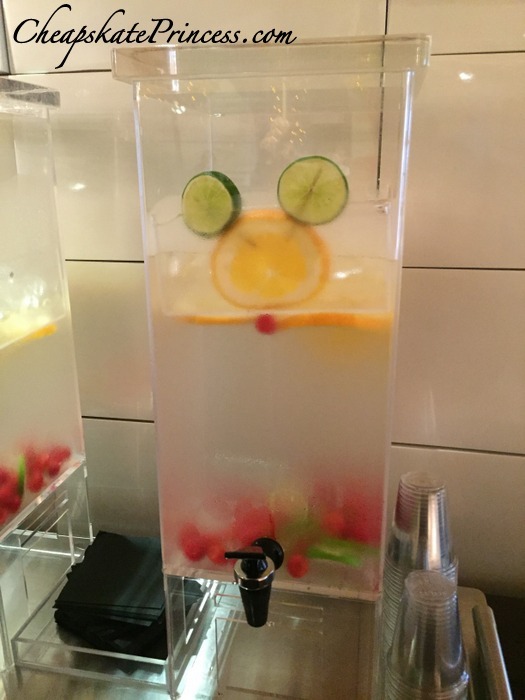 Maybe it’s all in our heads, but the water seems to taste better while melting. 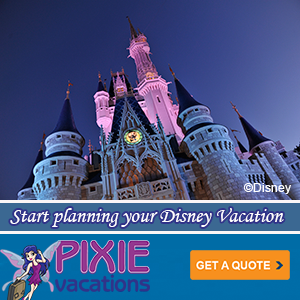 We have more ideas on water here: Disney World Food Tip #4: Water Bottles! 13. Add flavorings to tap water. I’ve never talked to anyone who liked the taste of Orlando tap water. We suggest items like Wyler’s Light Singles to Go flavor packets and Mio squirt bottles for pepping up the Orlando tap water. 14. 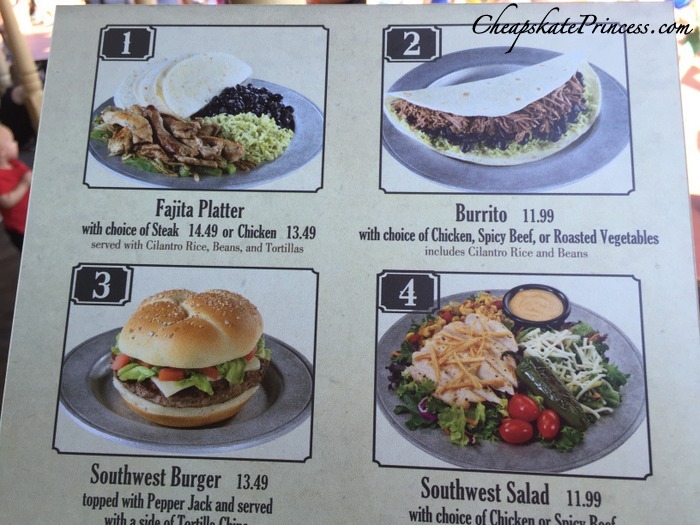 Disney Character Meals are certainly not cheap. Our family has done very few for that exact reason. Most character “buffets” are $49.99 for adults. 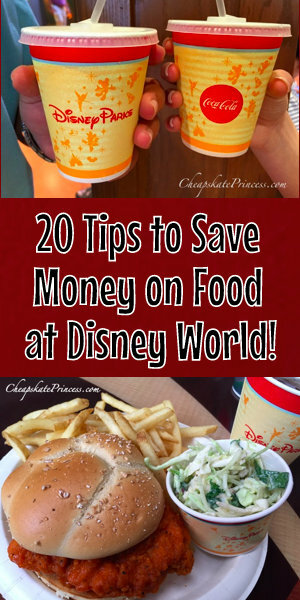 So the best option to save money if you plan to dine with characters is to eat breakfast and/or lunch as opposed to dinner. Dinner buffet prices are frequently more expensive than meals eaten earlier in the day. 16. Buy an extra bun or bring one with you in a zip lock. Counter service restaurants that serve items like double cheeseburgers and barbecue sandwiches offer servings large enough to frequently suffice as two meals, especially if you are on a diet or just have a small appetite. Share the fries and order a water, and bam, instant cheap meal. 17. Skip ordering an entire meal. 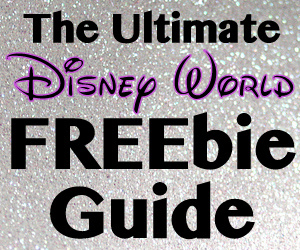 You do not have to order an entire meal at counter service restaurants, so ask the Cast Member if you can simply order the sandwich or entree with no sides or drink, and then order a water. You can always supplement this with a snack you brought along with you. See our multiple water tips above. 18. Buy the refillable mug at your on-property resort. If you will be dining at resorts while on vacation, you will definitely save money over purchasing individual sodas for every meal. While there had been tiered pricing for years, refillable mugs now cost one flat price of $17.99 for length of resort stay, no matter how many days. 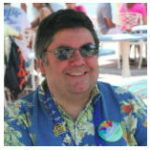 Read: Are Disney World’s Refillable Resort Mugs Worth the Cost? 20. As an adult dining in a counter service restaurant, you can order a kids’ meal. Unless you are starving, this is enough food to get you to the next meal. 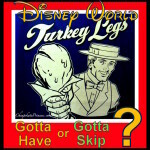 Now, this may not be an appealing idea to those foodies who make Disney dining an event. If you are just biding your time until dessert, the child’s meal is more than enough to hold you over until the next snack/meal. You’ll lower your calorie count for the day as well. 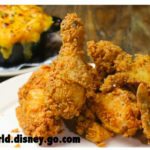 Read: Disney Food Tip #2: Adults Save Money Ordering This Meal! 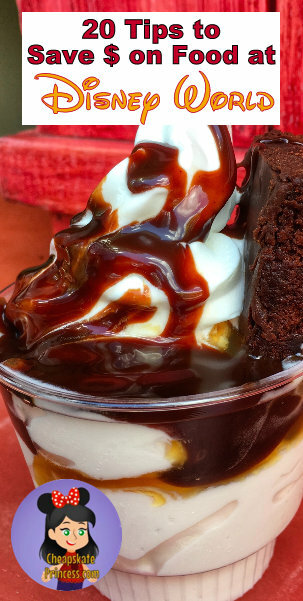 Food at Disney World is going to cost a lot of money. Don’t forget these tips to take the sting out of your overall food bill.